No need for needles to extract PRP. Ensure packaging is correctly sealed and unopened. Add ACD-A (anti-coagulant) to the 20 cc syringe. Draw 17 cc of blood into 20 cc syringe using the butterfly. Gently shake to mix. Using one of the clear connectors, transfer the blood into the YES PRP kit cylinder. Push the blood down into the cylinder until the internal stopper rests at the bottom. Seal cylinder with orange cap. Place the cylinder in the centrifuge with counter weight. Spin for 9 minutes at 2700 RPM (1300G). When centrifuge has come to a complete stop, carefully remove the cylinder. Remove orange cap and replace with a clear connector. Attach 5 cc syringe to the connector. Remove orange cap on the base of the cylinder and thread the plunger into the bottom. 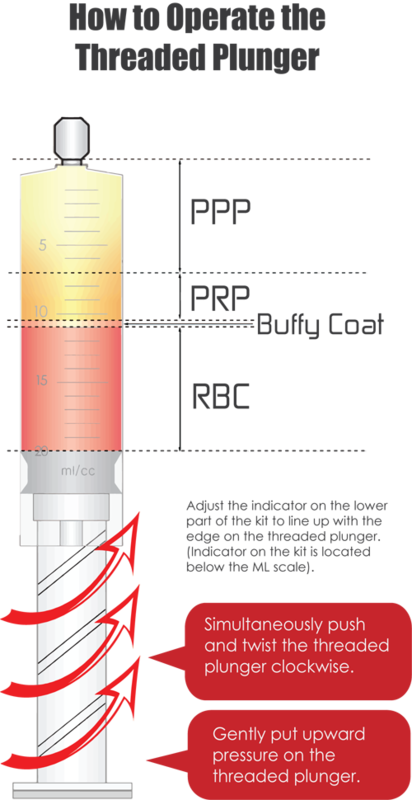 Gently transfer the PPP into the 5 cc syringe (at 2.5-3.0cc, may not be a visual difference between the PRP and PPP). Attach 10 cc syringe to the clear connector. Transfer the remaining PRP and buffy coat into the syringe. STOP TRANSFER when you see droplets of RBC’s at the tip of the attached syringe. 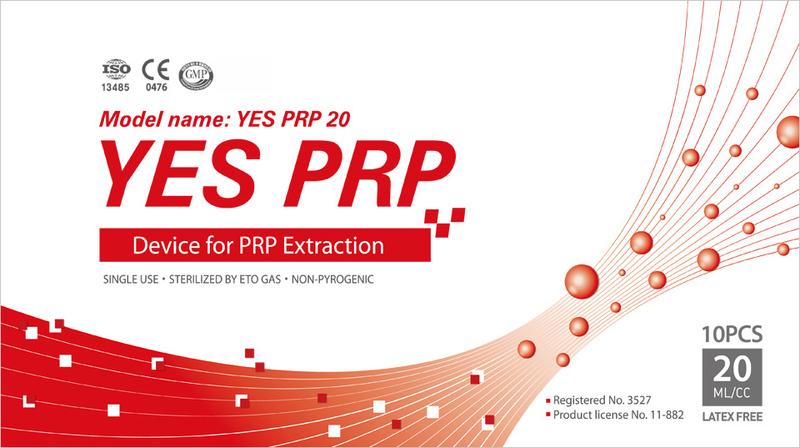 Store Yes PRP Kit at room temperature. Keep this product out of direct sunlight. Do not store in a humid environment.